Reprint. Originally published: London: William Heinemann, 1969. Tyrant, blackmailer, racketeer, murderer - his influence reaches every level of American society. Meet Don Corleone, a friendly man, a just man, areasonable man. The deadliest lord of the Cosa Nostra. The Godfather. A modern masterpiece,The Godfather is a searing portrayal of the 1940s criminal underworld. 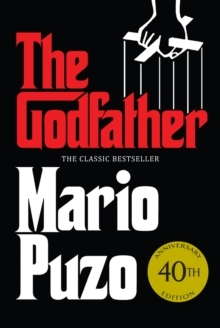 It is also the intimate story of the Corleone family, at once drawn together and ripped apart by its unique position at the core of the American Mafia. Still shocking forty years after it was first published, this compelling tale of blackmail, murder and family values is a true classic.